The University of Virginia is a top choice for women seeking engineering and computer science degrees, as confirmed in the newest rankings of U.S. colleges and universities posted Sunday by The Chronicle of Higher Education. UVA ranks third among all public universities for its percentage of women earning undergraduate engineering degrees, and first among public schools that awarded at least 75 engineering diplomas. At UVA Engineering, 33 percent of undergraduate students are women this year, compared to the national average of 21 percent reported by the National Center for Education Statistics. UVA ranks sixth for its percentage of women earning bachelor’s degrees in computer science – 29.5 percent, compared to the national average of 18 percent. The Chronicle’s rankings are based on data from the U.S. Department of Education’s Integrated Postsecondary Education Data System. The rankings did not include graduate students, although UVA also is strong in that area. At UVA Engineering, 32 percent of graduate students are women this year, compared to a national average of 25 percent. Norris said she believes one reason UVA Engineering appeals to women is that the school’s mission is to make the world a better place, and research shows that women and people from other groups traditionally underrepresented in STEM fields seek opportunities to make a difference. UVA Engineering researchers are generally focused in three broad areas that are aligned with what the National Academy of Engineering has identified as “grand challenges” for the 21st century: engineering for health, developing new methods to prevent, diagnose, monitor and treat disease; engineering for the cyber future, which includes developing and securing the innovative technologies that are continuously making life easier and more efficient; and engineering technologies for a sustainable and connected world, which includes developing high-performing, energy-efficient materials and sustainable systems for energy, water and transportation. Attracting more women also has been a concerted focus of the faculty and students in the Department of Computer Science at UVA for decades, professor and chair Kevin Skadron said. One of the department’s early moves was to reconfigure introductory computer science courses to provide a separate section for students who identified themselves as “experienced,” so that students in the regular introductory courses could develop confidence among their peers. This was a big contributor to encouraging women to continue pursuing computer science as a major, and the success led the department to establish a course for those who identified themselves as having no experience in, or nervousness about, computer science. Course materials also were revised to ensure that assignments and case studies were not gender-biased and did not reinforce stereotypes of the types of people who are successful computer scientists. The department also instituted mentoring programs for new faculty, pairing them with senior faculty who have training and experience in encouraging diversity. All undergraduate students who serve as teaching assistants also receive diversity training. Another addition at UVA was opening enrollment in computer science courses to non-engineering students. 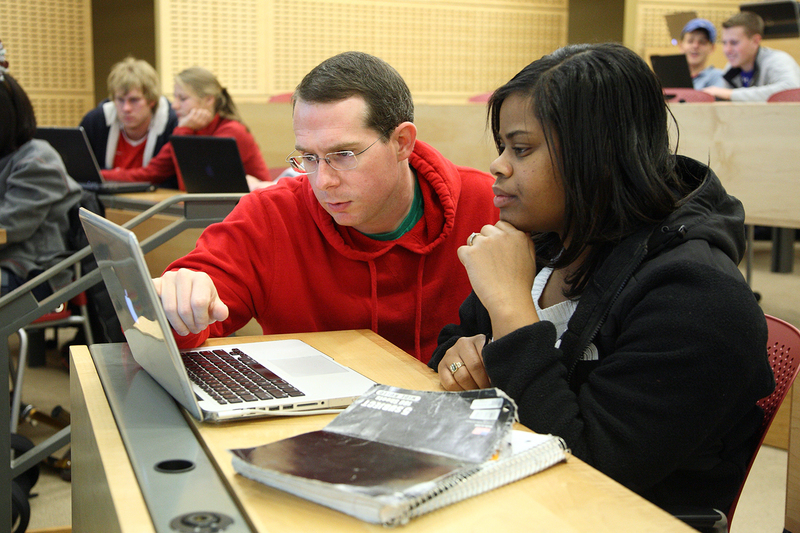 The Engineering School offers Bachelor of Science in Computer Science degrees to engineering students and Bachelor of Arts degrees in computer science to students in UVA’s College of Arts & Sciences. An incredibly important factor, Tychonievich said, is that UVA students have taken up the charge to diversify computer science. The Women in Computer Sciences club supports, celebrates and encourages women in computing, and hosts activities including mentorship and outreach for girls in elementary, middle and high schools. At the Engineering School as a whole, these efforts are supported by the UVA chapter of the Society of Women Engineers and other groups such as Women in Chemical Engineering. “Our students are outstanding, and they are the best examples of why this is so important,” Norris said.